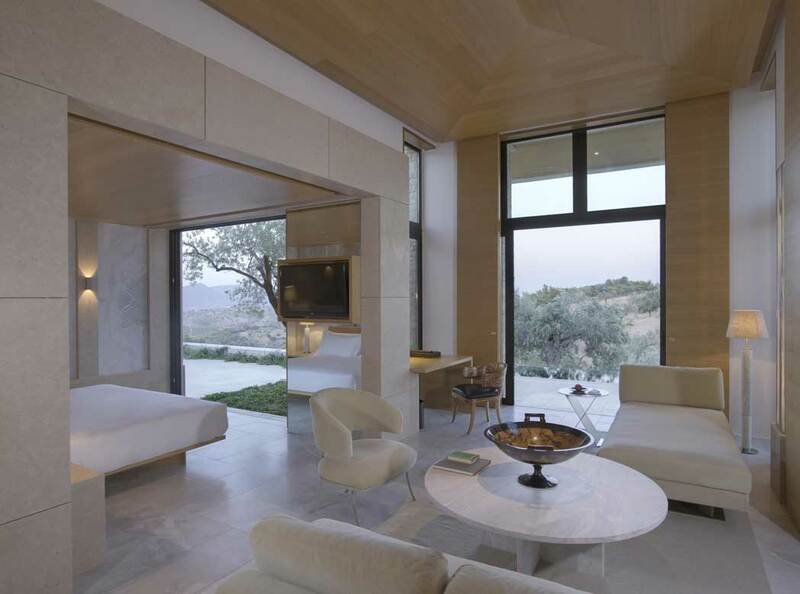 Comprising a 38-suite resort, an Aman Spa and a number of Aman Villas with one to six bedrooms, Amanzoe is the Greek complement to Montenegro's Aman Sveti Stefan and Turkey's Amanruya. 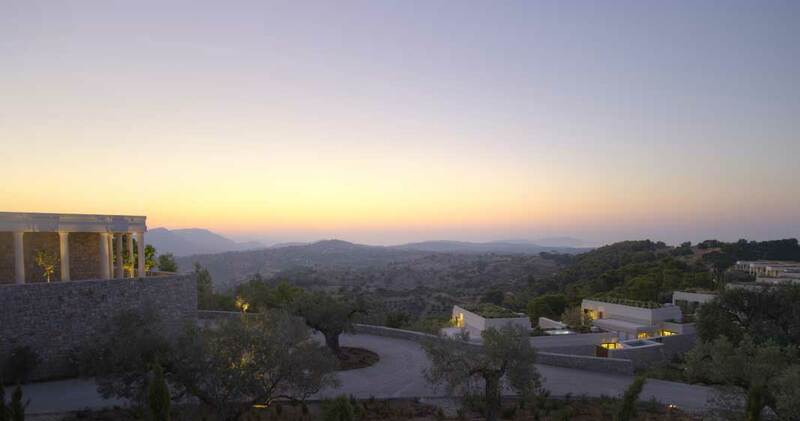 Drawing its name from the Sanskrit-derived word for‘peace’and zoe, the Greek word for‘life’, Amanzoe is situated on a hilltop close to the town of Porto Heli on the east coast of the Peloponnese. 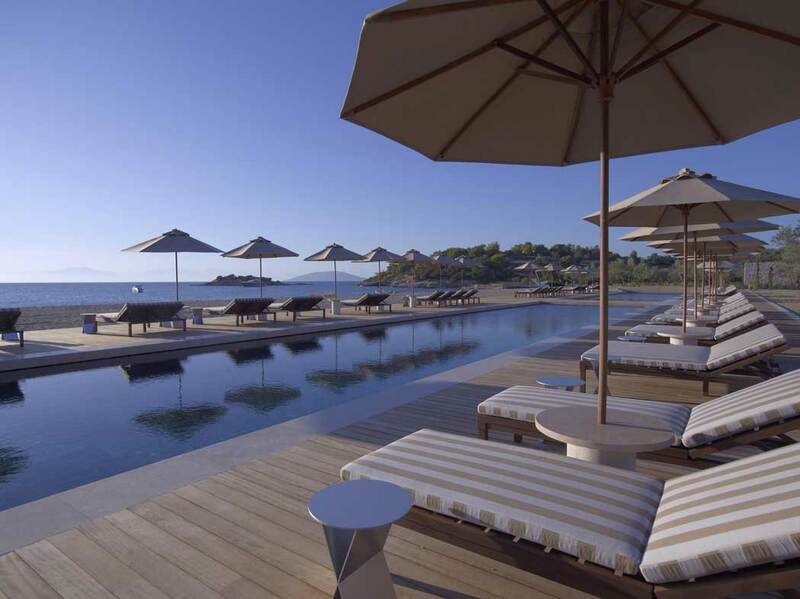 The resort offers panoramic views of the Peloponnese countryside and coastline, a private Beach Club in a picturesque bay and easy access to the cosmopolitan islands of Spetses and Hydra. 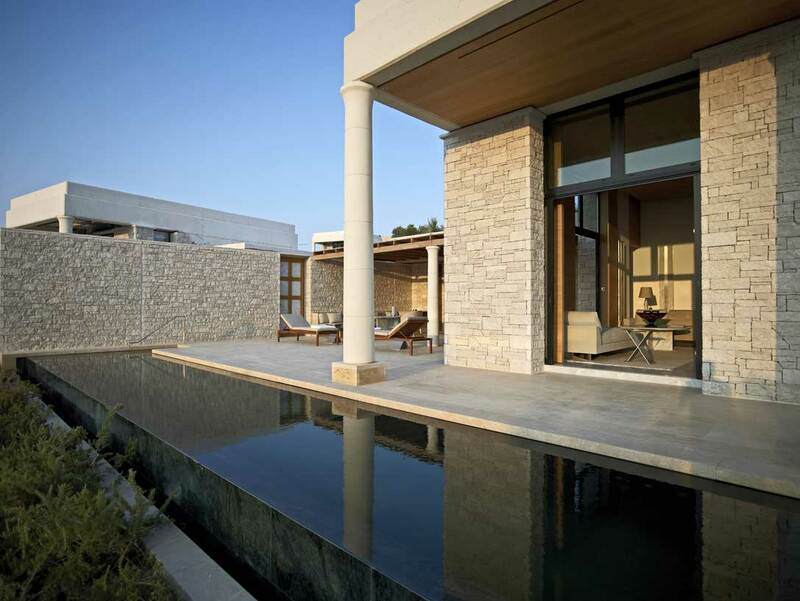 The design of Amanzoe is strongly influenced by classical Greek architecture, yet is contemporary in attitude and construction techniques. 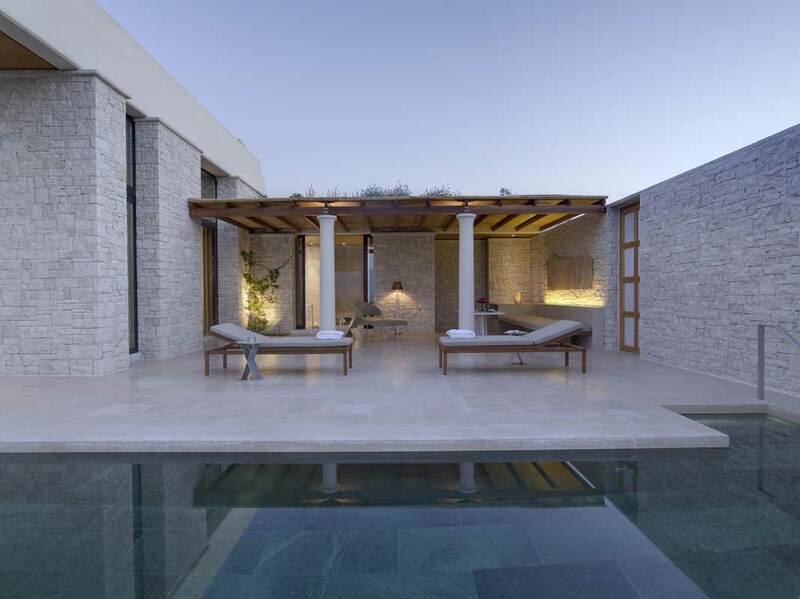 Taking into account the property's hilltop setting and open views, the design is particularly inspired by traditional Greek acropolises – citadels built atop elevated ground in ancient times. 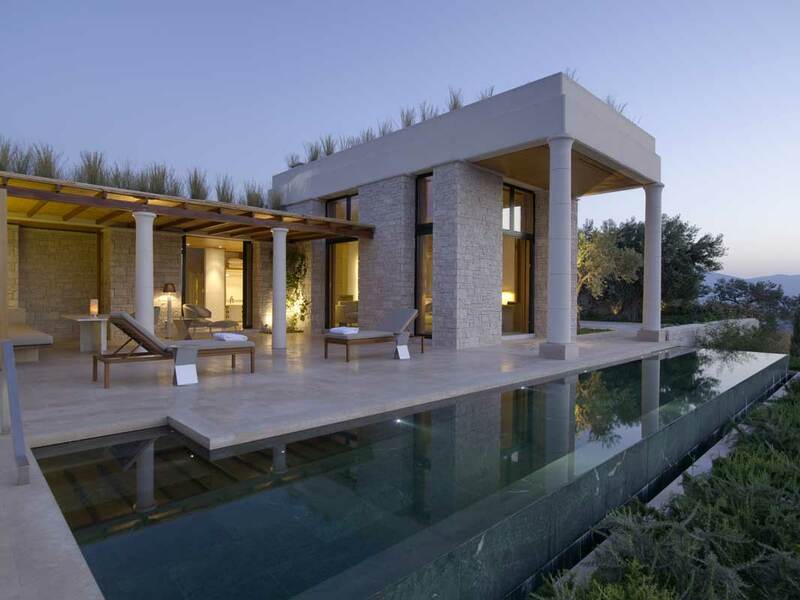 Amanzoe offers 38 guest pavilions, each with its own private swimming pool, ranging in length from 6 to 12 metres.The pavilions are divided into two categories depending on location. 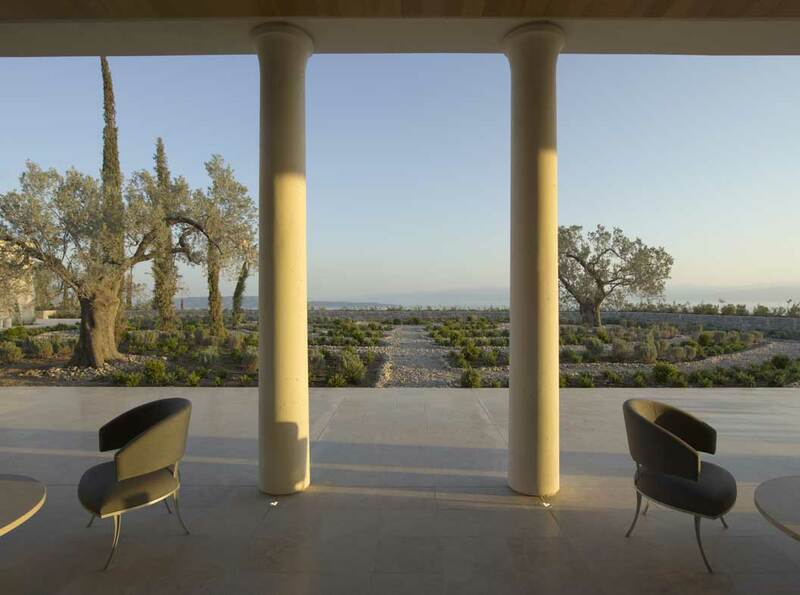 The free-standing pavilions are arranged on different levels to maximise privacy and the breathtaking views over the Aegean. 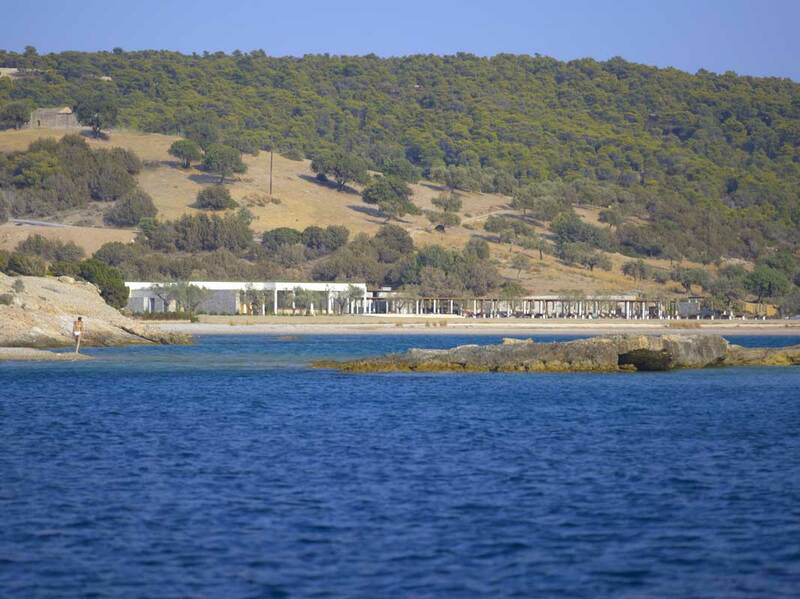 Amanzoe also offers 4 Beach Cabanas directly on the shoreline, with private swimming pool. Rates per pavilion/cabana/villa per night, single or double occupancy of each bedroom, daily a la carte breakfast, 13% VAT and 0,5% Municipal Tax included. - There is an additional local accommodation tax of 4,00 Euro per room per night which will be charged at the reesort upon departure. There is a wealth of archaeological sites to explore in the area. 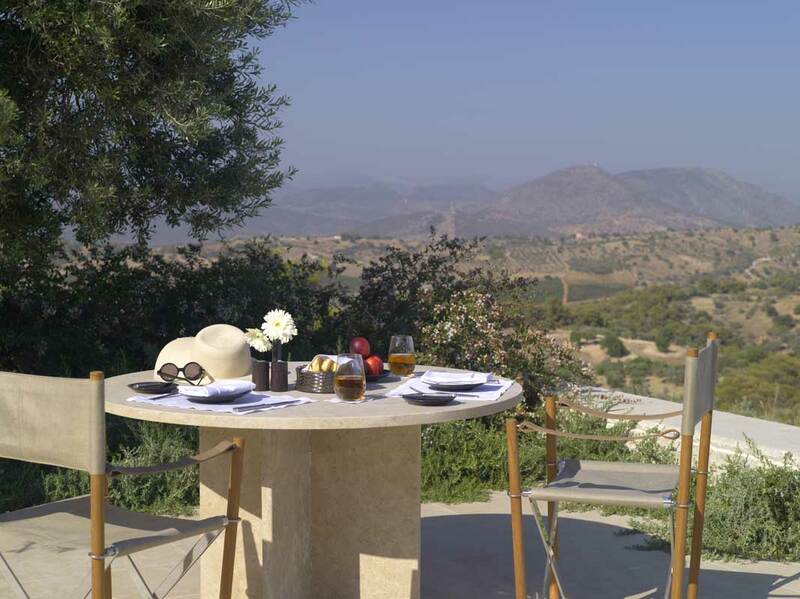 These include the Sanctuary of Asklepios at Epidaurus; the legendary citadel of Mycenae and the Mycenaean cemetery of Dendra; the Temple of Hera close to Argos amongst many others. Head out at sunrise or sunset for an airborne tour of the area, or combine this archaeological flight with your heli-journey to and from the airport. The Restaurant : with an outdoor terrace. The Living Room & Bar : for a light meal. 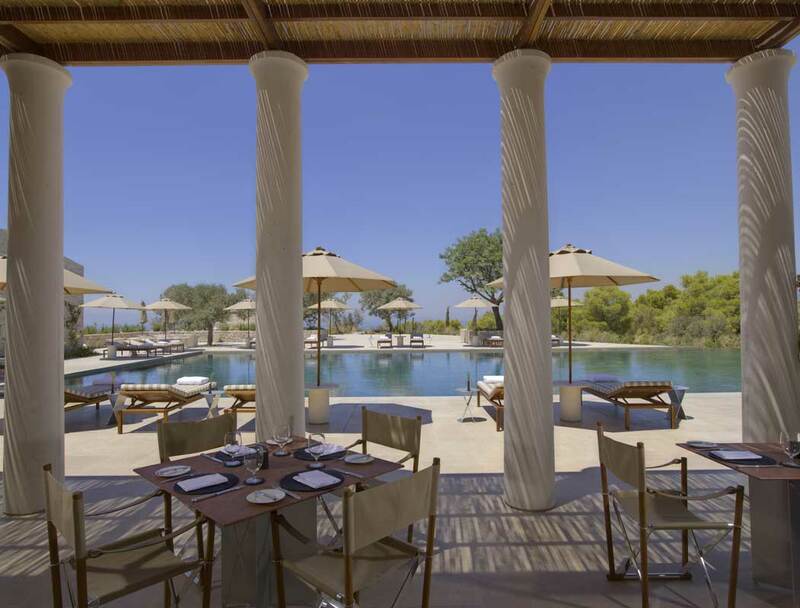 Pool Restaurant : for all-day dining. 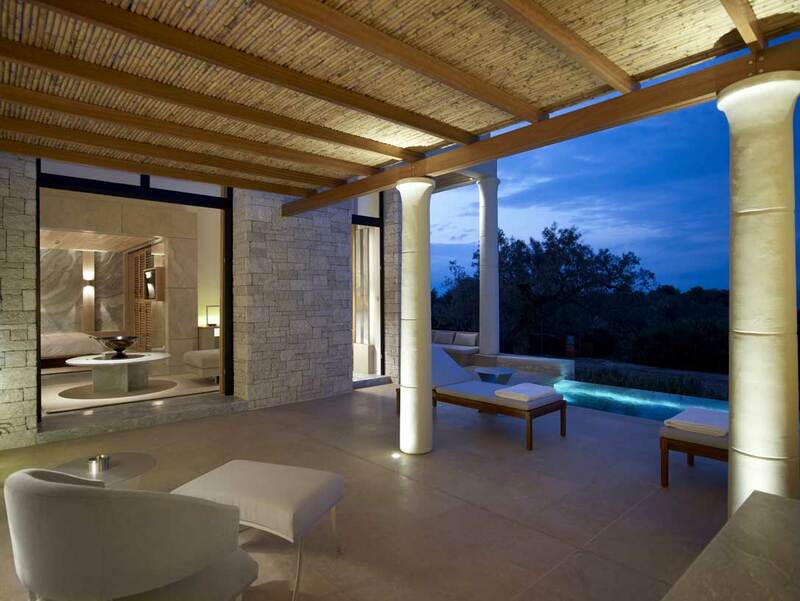 Fireplace : an outdoor lounge. 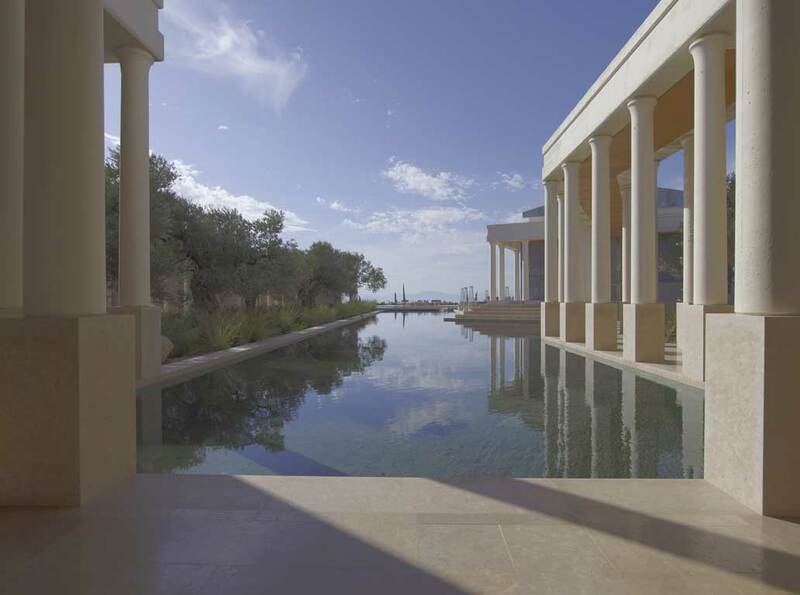 Designed as a tranquil sanctuary, Aman Spa at Amanzoe is a destination unto itself, offering extensive wellness and relaxation facilities and beautiful views. 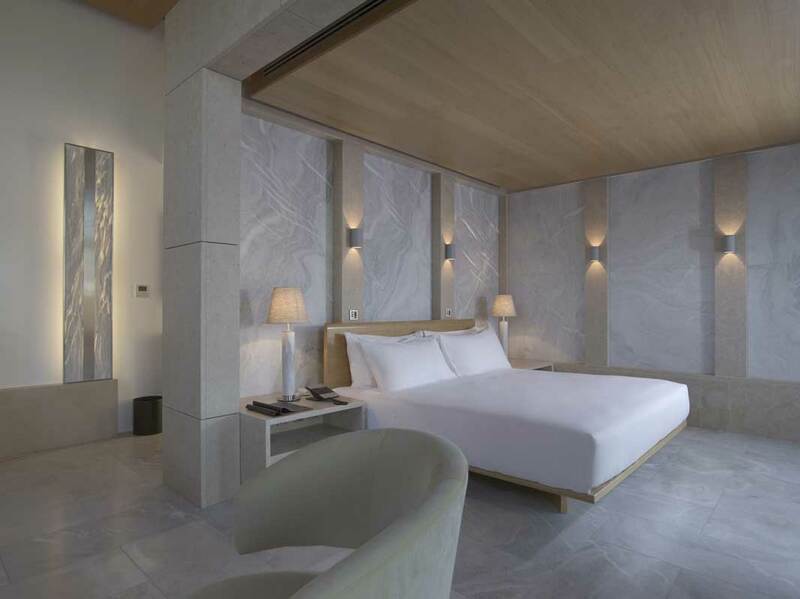 Aman Spa offers eight treatment pavilions and each features a dressing room, treatment area, steam shower and bathroom. 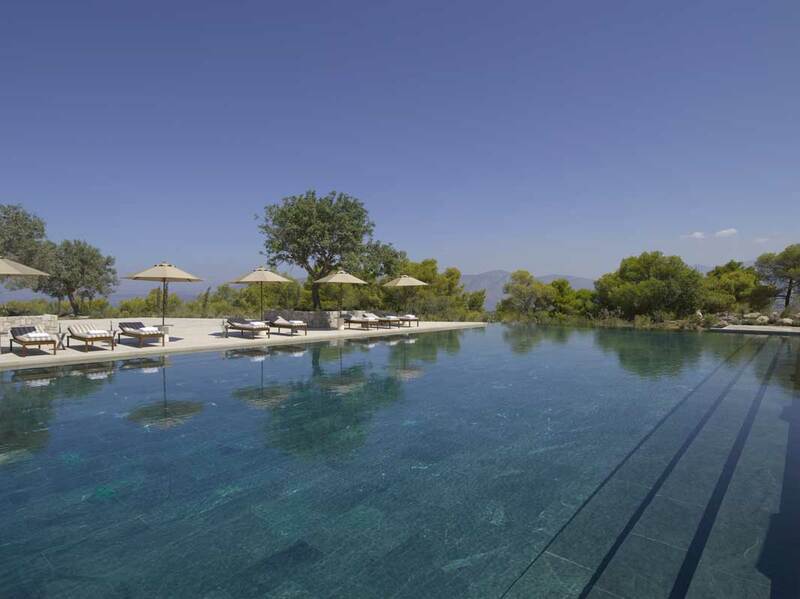 All offer beautiful tranquil settings and a number can accommodate couples. 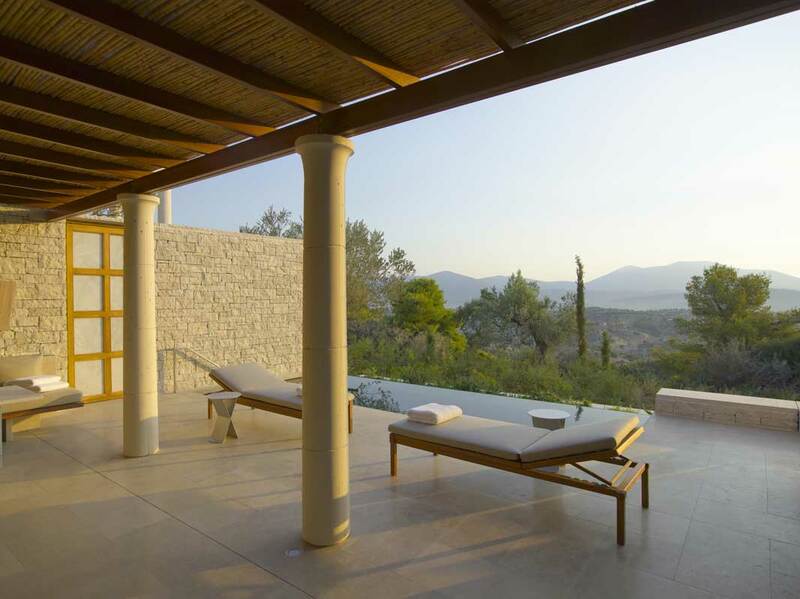 The holistic healing philosophy of Greek medicine states that man is essentially a product of the natural environment, and that good health is found when living in harmony with nature. The process of healing is restoring this lost harmony. 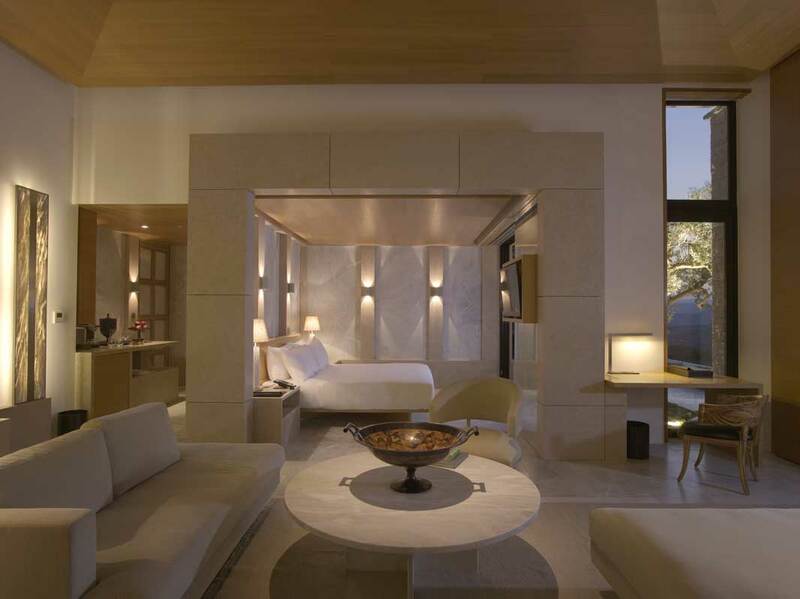 Aman Spa has drawn on this ancient wisdom in creating its spa menu. 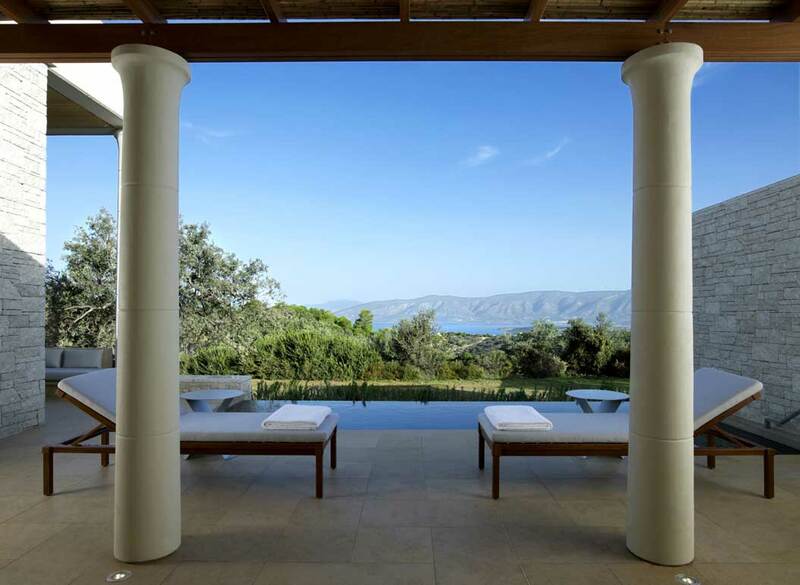 All treatments combine ancient Greek wellness rituals with time-honoured Asian beauty techniques, and use Aman Spa’s own range of natural skincare products.